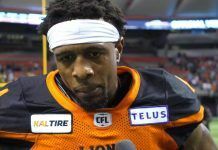 The BC Lions Football Club today announced that it has signed international defensive backs Solomon Means and Deion Carter along with international defensive lineman Claudell Louis. 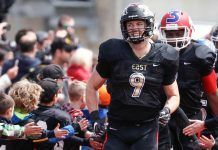 Means (6’1”, 180) is a former Edmonton Eskimo who played four games in 2016 recording nine tackles before being waived in August. He returned for training camp in 2017 and was released as part of Edmonton’s final roster cutdown. Carter (5’11”, 190) impressed the club’s defensive coaching staff at its recent mini-camp following four-year stay at Robert Morris (NAIA). The skilled defender and Chicago native recorded 94 individual tackles along with three interceptions and 12 knockdowns over 35 games. Louis (6’5”, 298) also turned heads earlier this month in Surrey and will attend training camp with the Lions. 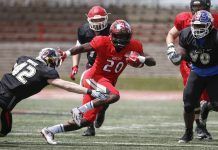 The Fresno State grad who was an honourable mention All-Mountain West selection as a senior had short stints with the Buffalo Bills and Minnesota Vikings in 2016, also attended training camp with the Hamilton Tiger-Cats in 2017.